As with its 4-cylinder cousins the 6-cylinder farina range had a facelift in October 1961. The A99 now became the A110 Westminster, Wolseley 6/110 and the Vanden Plas Princess 3 Litre MK II. The engine was unchanged in size although it was more powerful, producing 120bhp because of cylinder head changes, a re-profiled camshaft and a new twin exhaust system. The wheelbase was increased by 2inches and a new floor mounted gear stick was fitted. On the Westminster the front end now looked different with a new radiator grille and the sidelights were now oblong without the chrome surround and inside the car the interior was vastly improved. supplied to HM The Queen, one to Leonard Lord, one to George Harriman and the rest to favoured Austin dealers. 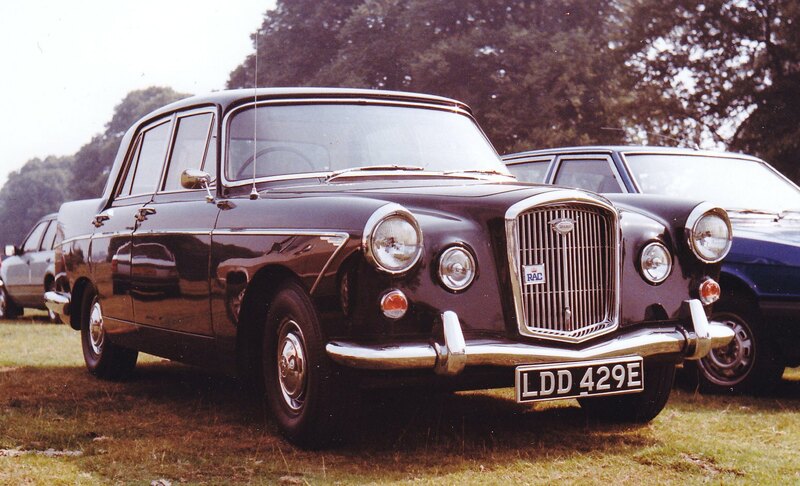 From May 1964 the Westminster and the Wolseley received an upgrade and so became the A110 MK II and 6/110 MK II, but the Vanden Plas Princess 3 Litre was dropped in favour of the 4 Litre R.
The only changes were a 4-speed gearbox which was also fitted to the Austin Healey 3000 and an optional overdrive. The MK II now had smaller 13inch wheels. There was now standard and de-luxe versions of the A110. as well as different instrument panel and fixed rake leathercloth seats. On the other hand, the Super de-luxe version had leather faced seats that reclined and a wood veneer facia and door cappings and a horizontal bar instrument panel. Engine and Transmission: 120bhp at 4,750rpm; 163lbs ft at 2, 750rpm. Optional Borg-Warner automatic transmission. Chassis: Rear suspension with transverse anti-sway hydraulic damper. Optional power assisted steering from 1962. Dimensions: Wheelbase 9ft 2in; height 5ft 0.5in; weight 3,470lbs. Performance: Maximum speed 102mph; 0-60 13.3sec; fuel consumption 19mpg. Transmission: 4-speed gearbox (no synchromesh on first gear) and optional Borg-Warner overdrive. Chassis: No rear anti-roll bar; 7.50 x 13in tyres. Performance: Maximum speed 105mph; 0-60 16.9sc; fuel consumption 18mpg. 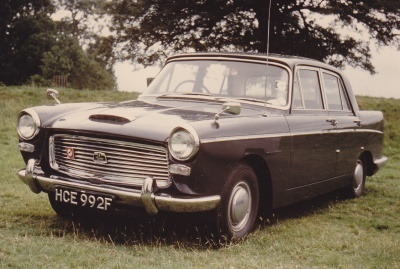 In 1965/6 production of the Westminster was moved to Cowley and due to poor sales the A110 was dropped in January 1968 with the Wolseley following shortly after in March 1968. Vanden Plas Princess 3 Litre MK II £1532 7900 built. Wolseley 6/110 MK II, Cowley 1964 -68 13,301 built.